HOPE - an educational NGO in Pakistan, strives to eradicate illiteracy in Pakistan. HOPE diligently tries to provide education to all, especially the underprivileged masses. Thus most of HOPE’s programs are focused primarily on the rural and urban slum areas of Pakistan. HOPE extensively works to provide quality education, free of cost to the underprivileged. Under the leadership of Dr. Mubina Agboatwalla- child specialist in Karachi, HOPE has broaden its reach towards the masses lining in squalor, mainly focusing on girls to address the deplorable educational and social status of women in many cities of Pakistan. Among other HOPE- an NGO in Pakistan, educational projects, one of its school located in Zia colony, Karachi, funded by Japanese embassy. The Japanese embassy and HOPE team have a very robust and everlasting bond. Recently the Japanese consulate hosted an exhibition at Pearl Continental Karachi. The Exhibition was designed to display Japan’s culture and lifestyle and thereby to further enhance the friendly relations between the peoples of Japan and Pakistan. HOPE was invited to this auspicious event along with 30 students of HOPE school Zia colony. These students were accompanied by two representatives of HOPE alongside two teachers of HOPE school. The event consisted of a number of activities including fancy dress show, documentaries, picture session and to conclude it all a variety of diverse Japanese eatables were offered to the guests which were relished by the elated students. The event included a wide range of exhibitions to introduce traditional Japanese beauty such as ceramic art, craft and Japanese dolls to showcase the reality of modern Japan such as contemporary art, photography, architecture and designs. This gave an exposure to children to learn about cultures other than their own. The month of rabiul awal is celebrated with much fanfare in Pakistan. Every street is illuminated with multicolored fairy lights, every person is filled with joy and feels a sense of cheerfulness as it is month of the birth of the Holy Prophet (Peace Be upon Him). A number of programs are being chalked out to celebrate the birth of Holy Prophet Hazrat Muhammad (PBUH) with great reverence and devotion. This enormously joyous occasion is celebrated by HOPE-an NGO in Pakistan schools and hospitals. These activities are carried out under the supervision of Dr. Mubina Agboatwalla, the child specialist in Karachi and Chairperson of HOPE. In these Milad gatherings, all the students and staff members of HOPE school Mujahid and Bhitaiabad. Students and teachers prepare Naats and remember the teachings of our beloved Prophet (Peace be upon him). Qari’s were also invited to enlighten us by the saying of the Prophet and pray melodious Naats. On this occasion we remember the teachings of our Holy Prophet (PBUH) as the quote goes: “They ask you (O Muhammad) what they should spend in charity. Say: 'Whatever you spend with a good heart, give it to parents, relatives, orphans, the helpless, and travelers in need. Whatever good you do, God is aware of it.” Hence the main aim of our NGO HOPE is placed on this very saying. HOPE-an NGO in Pakistan tries to bring as much joy to the underserved as possible by organizing such events and activities which make them feel loved, and nothing compares to those elated faces when they receive appreciation for their efforts of participating in such activities. We hope to continue to spread love and happiness by giving charity in the way of God and simultaneously managing such events to motivate women and children to come forward and display their talents. HOPE-an NGO in Pakistan works for the betterment of the society by providing high quality education and health care services for the underprivileged and underserved aiming mainly at the women and children in the rural areas who are deprived of the basic necessities of life. HOPE believes in educating children and providing them a pathway in building a brighter future for themselves. 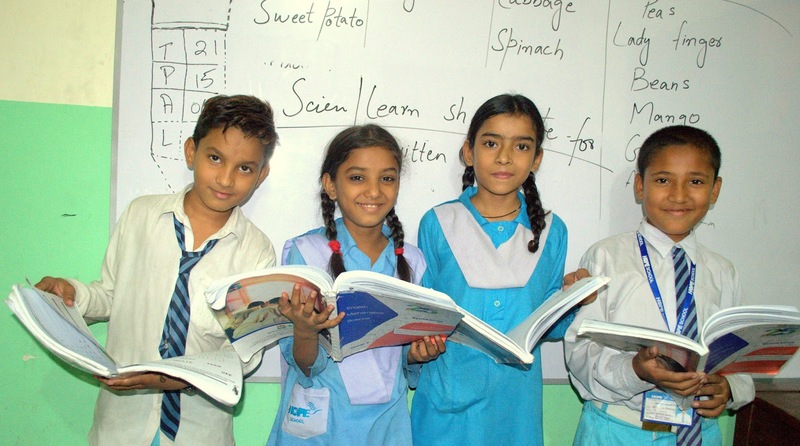 HOPE- an educational NGO in Pakistan, has a number of formal and home schools where increasing number of students gain education under the supervision of Dr Mubina Agboatwalla – a child specialist in Karachi . But alongside education, HOPE also takes their students on fieldtrips which is necessary for the motivation of the students. 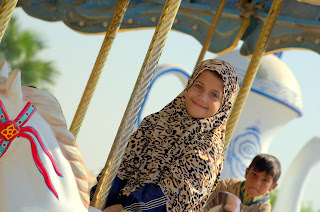 One such incident is of Chunky Monkey, an amusement park where thirty students of home school Mujahid were taken on a fieldtrip and thoroughly enjoyed themselves. Chunky Monkey is the largest amusement park situated in Karachi with a unique idea of attracting the kids and family who are searching for a place that is full of excitement. 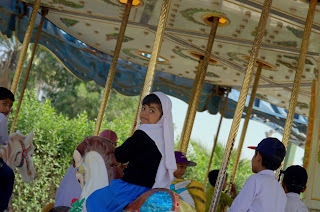 The rides are very safe and designed in a way that is very secure for the kids. The park is well maintained and very neat & clean. There are a number of different activities and rides such as the pirate ship, the wheels on the bus ride, the anti-plunger behaved more like an open, rotating elevator to nowhere. It ascended and descended at such a slow speed that it ought to be part of the park's geriatric section. And the basement which is made into an arcade. The whole trip was sponsored by Target Inc. Pakistan, a direct affiliate of a major retailing chain store in the US which enjoys a very exclusive and dedicated clientele. The trip culminated with distribution of lunch boxes consisting of delicious Biryani and each students were awarded with certificates as well. According to a report, Pakistan is ranked lowest in education and health among the nuclear powers. The birth rate and death rate are higher than usual. In such crucial circumstances HOPE- a health NGO in Pakistan, decided to expand its existing hospital located at Gurumandir, Karachi. The inauguration took place on the 22nd of November’17, Wednesday at Gurumandir HOPE Hospital. It commenced with a ribbon cutting ceremony followed by the recitation of the Holy Quran. A few refreshments were also served to all the staff members. The expansion of HOPE Hospital included 4 more beds making it a 7 bedded Hospital along with an operation theater and an OPD. The Hospital now has a fully functioning antenatal care unit with a number of incubators present. The hospital Staff includes Consultants, Gynecologists namely Dr. Farah, Dr. Afshan and Dr. Rehana, as well as the well-known Pediatrician Dr. Mubina Agboatwalla- a child specialist in Karachi. HOPE-a NGO in Pakistan continues its work to improve the living standards of the children and poor communities by fulfilling their basic rights of healthcare and education. The acknowledgement and appreciation of our work energizes the team with motivation to put in even greater effort in doing so. HOPE team strives to achieve a greater success rate in the health care sector by the expansion of HOPE hospital which is fully equipped with all necessary medical facilities. 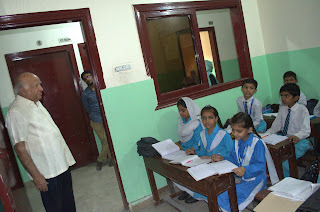 Hope an educational NGO in Pakistan aims to provide high quality and free of cost education to children in rural and urban setting all over Pakistan mainly concentrating on girls’ education. 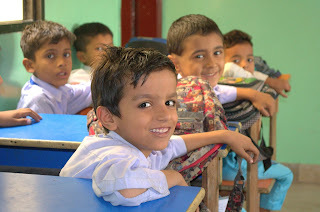 Providing education is one of the priority areas of HOPE an NGO in Pakistan, which is vital for the economic, social and cultural development of all societies. Under the leadership of Dr. Mubina Agboatwalla- child specialist in Karachi. HOPE has 4 formal schools and 200 informal schools in different districts all over Pakistan providing high quality and free of cost education for those who are otherwise impoverished for education and even the thought of having books and going to school is nothing but a mere imagination and a dream. 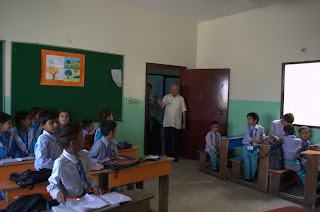 One such informal school is the Bhittaiabad School in Karachi which was privileged to welcome on board the students and management of Fahim’s Schooling System, which has in the past helped out a great deal by providing rations and supplies to the flood victims. This time around, Fahim Schooling System distributed more than 100 stationary boxes, school books, school copies and eatables to the pupils of Bhittaiabad School. They even went an extra mile by donating medicines for HOPE Hospitals. HOPE- an educational NGO in Pakistan , has a strong and long lasting bond with Fahim’s Schooling System and as always appreciates the support and assistance provided by them. HOPE – an NGO in Pakistan has been active in Pakistan since 1997, working in the sector of health and education. 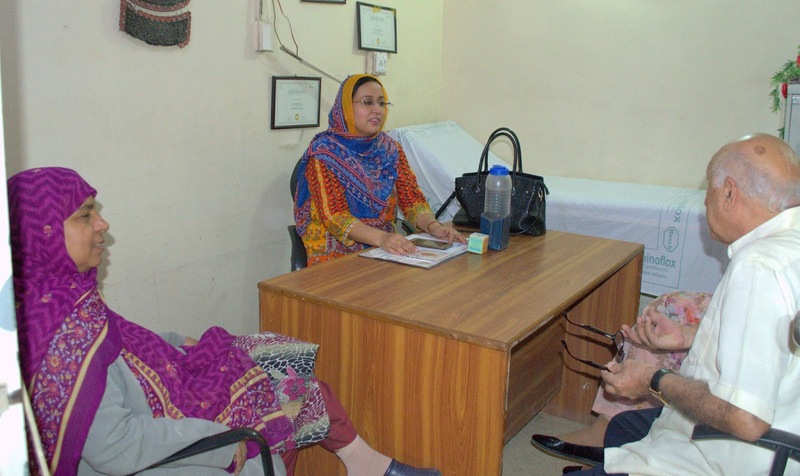 The organization is spearheaded by the dynamic leadership of Dr. Mubina Agboatwalla – a child specialist in Karachi and continuously strives to improve the health and educational disparity of the deprived community in the country. HOPE – an NGO in Pakistan has a wide network of schools and hospitals across Pakistan. In Karachi, it runs 2 secondary care hospitals, at Korangi and Gurumandir. Moreover, HOPE runs two Maternal and Child Health Care centers in the city (in the slum areas of Manzoor and Mujahid colonies) as well as two Mobile Health Units, which cater 26 villages in the outskirts of Karachi. In the domain of education, HOPE operates a Formal Secondary High school and 2 semi-formal schools and numerous informal schools in Karachi. Recently, Dr Zainab, one of the helpers of HOPE, along with Mr. Raees Irshd visited HOPE Hospital and School in Zia Colony, Korangi. The couple toured the premises and was briefed about the recent happenings at both the hospital and the school. 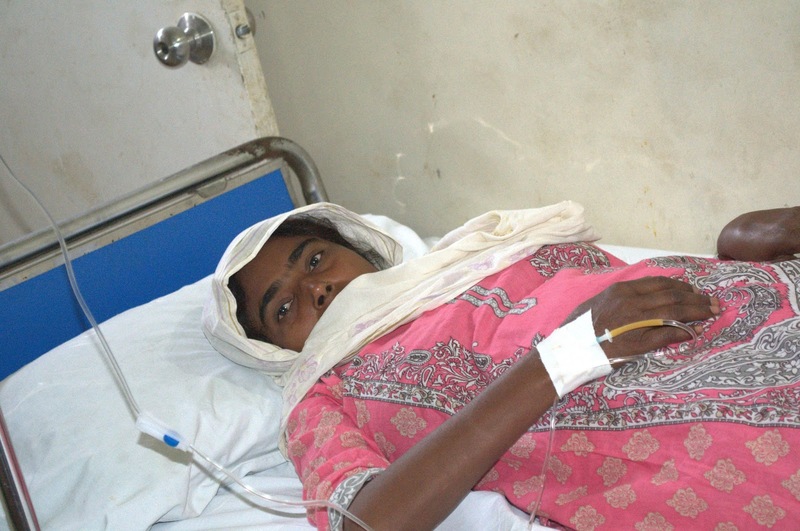 The couple greatly appreciated the hospital facility and the quality of service being offered to all patients. Moreover, they interacted with the students of the HOPE school and were delighted by their level of motivation and curiosity. They were moved by the work done by HOPE in the area, which is otherwise deprived and neglected. HOPE - a Health NGO in Pakistan, continues its work to improve the living standards of the children and poor communities by giving them easy access to basic rights of healthcare and education. The acknowledgement and appreciation of our work energizes the team with motivation to put in even greater effort in doing so.